The final document I managed to salvage from the flea market is undoubtably the most interesting of them all. It actually puts a face to one of the citizens of Germany during the war. It was a grey linen Kennkarte (identification card). 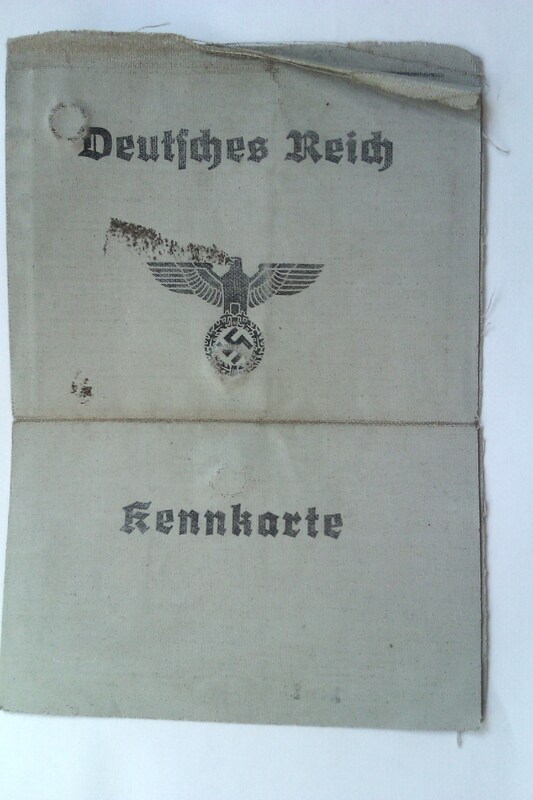 The Kennkarte was the basic identity document in use during the Third Reich era. They were normally obtained through a police precinct and had the corresponding issuing office and official’s stamps on them. Every German citizen was issued one and was expected to produce it when confronted by officials. The colour of a Kennkarte was based on ethnicity. Poles had grey ones; Jews and Romas, yellow; Russians and other non-Polish Slavs blue. This one is grey and belongs to a 24 year old Polish man. It says he was a mechanic and in the any notes of interest section it says “None”. If the Kennkarte belonged to someone of Jewish heritage it would have a large “J” stamped on it. It is strange to think that this man could still be alive somewhere, he may have escaped the bombs and the fighting and be living out his life somewhere with family. It’s possible, but unlikely we’ll ever find out. I hope he did. Did they (the sellers) really notice what it was when you paid for it? I wondered this when I also found a certain postcard from one of the flea markets there dated ’41. How much did it cost and did they act different when you bought it? I wonder if finding stuff of this nature is more commonplace than we think it is? …And what they think about selling it and the people who buy it. Hi Katie. 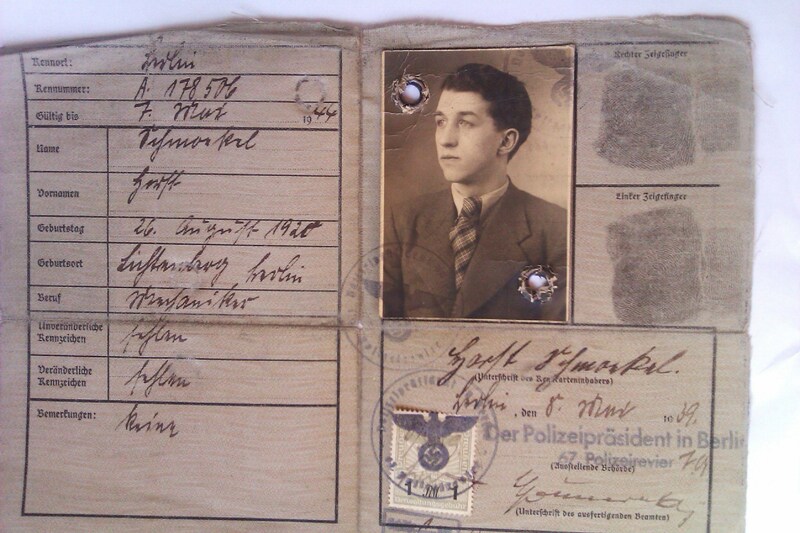 I was really taken aback when I saw the postcards with the Nazi stamps on, even more so when I saw the ID card with the photo and fingerprints! All of those items and 2 egg cups came to 8 Euros! The man did look through them briefly but that’s how much he thought they were worth. To be honest it was just the sort of thing I was hoping to find, and that was just one day looking through one market. Maybe it’s just old junk to German market traders now, but I was spellbound by these items. Glad you found them as fascinating as I did. I’m trying to get them translated too, will post an update when I do!